Have you ever heard of the term Whole Brain Synchronization? If you practice meditation on a fairly routine basis, you may have already heard of it. On the other hand, you might be wondering what this term exactly means. It actually refers to utilizing more of your brain in order to accomplish things that you might not have previously thought possible. The most important thing to take away from all of this is that you can actually train your brain to become more engaged so that you can take advantage of whole brain synchronization. This can help you concentrate better, become more creative and even understand complex subjects more easily. What Is Whole Brain Synchronization? Whole brain synchronization, also known as hemispheric synchronization, is the ability to utilize more of your brain than is considered average. You see, the typical average adult only uses about 10% of his brain. Imagine what you would be capable of doing if you could somehow find a way to unlock your brain so that you could use even 25%. And imagine what you could accomplish if you could unlock even more. You could think of it as a tale of two gifted athletes. Imagine that both of them have the same inherent skills, yet only one receives the training and coaching that they need to make it to the top level. The skill is there for both individuals, yet only one has the opportunity to hone those skills. It is no different concerning the brain. A lot of intelligent individual struggle with certain things because they don’t know how to unlock the knowledge that is already there. Hemispheric synchronization gives you the opportunity to do exactly that. More importantly, it gives you the chance to live up to your full potential so you can do all of the things that have always been so important to you, without something holding you back. If you have tried a particular class in the past and you didn’t pass it, this could be the key to success. The same is true for virtually any other endeavor that you would like to tackle that involves connecting your mind with any type of mental or physical abilities. Whole brain synchronization helps you resolve all of these issues and more. Essentially, it helps you unlock all of the potential that is already there and make use of it. If meditation is capable of unlocking hemispheric synchronization, how do you go about meditating in the correct manner? The truly great thing about it is that there is really no right or wrong way to meditate. Instead, it is about relaxing and allowing your mind to go wherever it needs to go. There are a lot of studies to back up the benefits of meditation and there are almost as many that have verified the fact that routine meditation allows you to take advantage of whole brain synchronization, no matter how you go about the act of meditation itself. This makes you a more balanced individual that is capable of figuring out complex issues and handling the challenges and hurdles that are part of everyday life. The truth is, there are a lot of brilliant individuals that have been able to take advantage of whole brain synchronization and there are just as many creative geniuses out there that have unlocked their own creativity through this. To help you synchronize both your right and left hemispheres, binaural beats can be a big help for your meditation sessions. While everything about them is not yet fully understood, it is believed that listening to them can help unlock many secrets within the brain, thereby allowing you to take advantage of whole brain synchronization much more quickly. 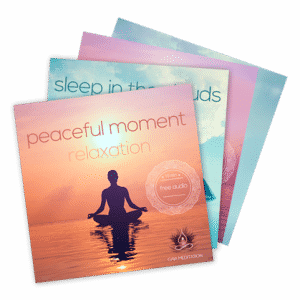 When you meditate with binaural beats, either listening to pure binaural beats or binaural beats embedded in meditation music, it is usually much easier to get into a meditative state and remain there. They affect the brain in ways that are almost unfathomable, giving your brain the opportunity to achieve this state of hemispheric synchronization when it might not otherwise be possible. Can you really take advantage of whole brain synchronization through something as simple as meditation? Yes, absolutely! While you may not notice a huge difference after a single session, regular meditation can have a dramatic impact on the way your brain works. This in turn has an impact on everything else you do. It helps you become a calmer, more focused individual that is more than capable of dealing with the twists and turns that are a basic part of life. It also helps you focus your attention much more clearly so you understand things better. It also unlocks your creative side. And using the technology of binaural beats will be a big plus. When all things are considered, it is easy to understand why so many people choose to take advantage of this incredibly simple and valuable practice. The very idea that you could start to feel more relaxed on a regular basis, coupled with all of the other aforementioned benefits, should be enough to sway virtually anyone that is trying to decide whether or not meditation is right for them. The most important thing to remember is that it all comes back to whole brain synchronization. The ability to truly unlock all of the hidden talents within your brain and become a more balanced individual can make all the difference in the world for the way that you live your life. Why wouldn’t you want to take advantage of that opportunity? What are your thoughts? Just leave a comment below. How To Practice Diaphragmatic Breathing and What Are The Benefits?